Described as “a lake for all seasons,” Hamlin Lake in Michigan has something to do for every season. In the winter you can participate in ice fishing, ice skating or cross-country skiing. In the warmer months you can walk through the sand dunes, go fishing, follow the trail for a nice hike or bike ride and do much more! You will also get to experience a variety of festivals and end your summer nights with fireworks. 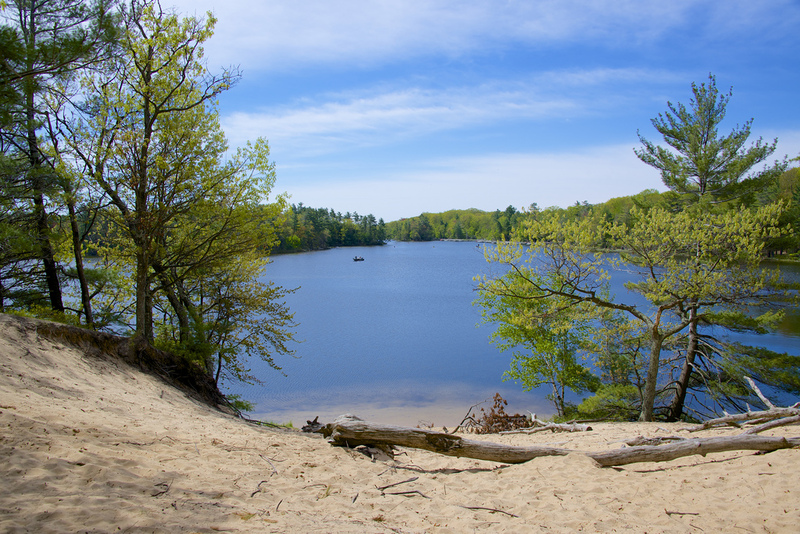 With 12 miles of lake you will never feel crowded at Hamlin Lake. Hamlin Lake offers hotels, resorts, cottages, cabins and camping for your convenience.